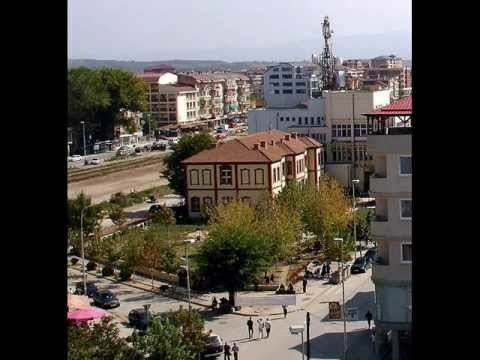 Ferizaj or Uroševac (Serbian: Урошевац) is a city and municipality located in the Ferizaj District of Kosovo. According to the 2011 census, the city of Ferizaj has 42,628 inhabitants, while the municipality has 108,610 inhabitants. The city of Ferizaj has been populated since the prehistoric era by the Starčevo, Vinča and Baden culture. During the Ottoman period, Ferizaj served as a trading center on the route between Belgrade and Thessaloniki. Ferizaj has always been considered as a city where tolerance and coexistence in terms of religion and culture has been part of the society in the last centuries. In 1999, the base of the United States Army were established in the City. It is the largest and the most expensive foreign military base built by the Americans in Europe, since the Vietnam War. Ferizaj is located in the south-eastern part of Kosovo, about halfway between the cities of Pristina and Skopje, Macedonia. It is some 230 kilometres north-east of Tirana, 55 kilometres north of Skopje, 300 kilometres west of Sofia, 35 kilometres south of Pristina and 300 kilometres east of Podgorica. The town, was named Ferızovık when it was part of the Ottoman Empire, was little more than a village until 1873, when the Belgrade-Thessaloniki railway was opened, passing through the town. The name derives from a pre-1873 hotel owned by a local named Feriz Shasivari. The oldest ethno-cultural group who lived in the 6th and 5th millenniums BC in the territory of Kosovo was the Starčevo culture. Members of this group constructed their homes near rivers and the river terraces. They made their homes of willows and mud, while their main profession was plowing and farming. Another group, which took the place of Starčevo culture, is the Vinča culture. These population shifts were made around 4300 BC. The newcomers also built their habitats near rivers. These habitats were unfortified, with dense rows of willows and mud houses. Remnants of their material culture, mostly different forms of ceramic vessels and the large numbers of baked clay figures, testify on higher cultural level. After Starčevo and Vinča, the Bubanj-Hum culture followed. This cultural group expanded from the east, from the territory of today's Bulgaria. When carriers of this ethno-cultural group reached the region before the end of the 6th millennium BC, they destroyed Vinča habitats. Remnants of their material culture have not survived. After Bubanj-Hum, the Baden culture arrived from the Danube, representing its southernmost influence in Kosovo. Baden culture ended before the end of the 3rd millennium BC. Starting from the 8th century BC and then during the next centuries, until the Roman conquest, can transmit continuously development of a new culture in the region, the Dardanian tribe. The Dardanian burned their dead and bury their remnants in tumuli tombs. In the city, two necropolis have been found, one in the locality of Kuline near the railway station in Gërlicë, the other in region of Mollopolc, along the Ferizaj-Shtime road. Around 280 BC some episodes from the life of Dardania reaches historical records as a political community ruled by a king. Most of the information on the Dardanians are about their wars against the Macedons. The first contact between the Dardania and the Romans came in 200 BC when they offered military assistance in the fight against Macedonia. In 96 BC the Roman Emperor Sulla subdued the Dardani. Numerous Roman settlements were established across the valley, on the old lake terraces. These settlements also accompanied a road network; connecting cities such as Ulpiana and Skopje, which was part of the important road connecting Macedonia to Dalmatia, passing across Ferizaj and the gorge of Kaçanik. A part of the road was discovered on the river bed of the Lepenac, one near the village of Doganaj, the other near the village of Reka. Its suburb at the time, it has been of great importance for traffic. Thence passing one of the most important roads, which lead from the north from Slovenia and Croatia through Sarajevo, to Vushtri, Pristina, Lipjan and passed through the present Feriza to Skopje in the south. With this main northern line traffic crucified Shkodër to Prizren road. In the library of St Mark Basilica in Venice, there was found a manuscript of an anonymous traveler, from 1559 to 1560, registered with Latin Anonimo sign a Costatinopoli viaggio da Venezia. During the continental trip from Venice to Istanbul this marked: "On July 3 set off and came to a place named Villa Negra (from Italy. Carralevë) ... The valley is surrounded on all sides by hills." This further writes that reached Sopotnice village that comes to today's village with the same name that is located near Kaçanik. Then he writes that continued on that path and arrived in Skopje on July 5. Kosovo province becomes the center of a comprehensive activity, the suburb of Ferizaj, with cities and capitals in the then Nerodime, Shtime and others except Prizren and Pristina remains for a long time the main center of political, economic and cultural of that time. In the 1455 census, by the Turkish authorities in the province of Brankovic, most villages belonging to the municipality of Ferizaj, then belonging to the province of Morava, 646 villages of this province villages of Feriza] were larger than others. According to sources about 90% of the population were of Slavic origin, 10% Albanians, Vlachs, Greeks, and Bulgarians. Agriculture was the basic source of income in these villages, including other associated activities like crafts rural economy where distinguish: blacksmiths, potter, masters of lime, furrier, ranchers, and priests and monks. After the Austrian-Turkish wars of the late 17th century and the first half of the 18th century, major ethnic changes occur and begins the rapid Islamization from Ottoman Empire. Until the construction of the railway from Skopje to Mitrovica, according to Turkish sources they do not found a residence called Feriz-Bey (Ferizaj). At the beginning it was called "Tasjon" by surrounding villagers by the Turkish pronunciation of French word Station, but the name Ferizaj is obtained by Feriz Shasivari. Its rapid development starts with construction of the railway station and within a short period become the city with inns, warehouses, and permanent market. Traffic, traders of Kosovo from Prizren to Shkodër, which at that time was by caravan, was mainly diverted toward Thessaloniki. 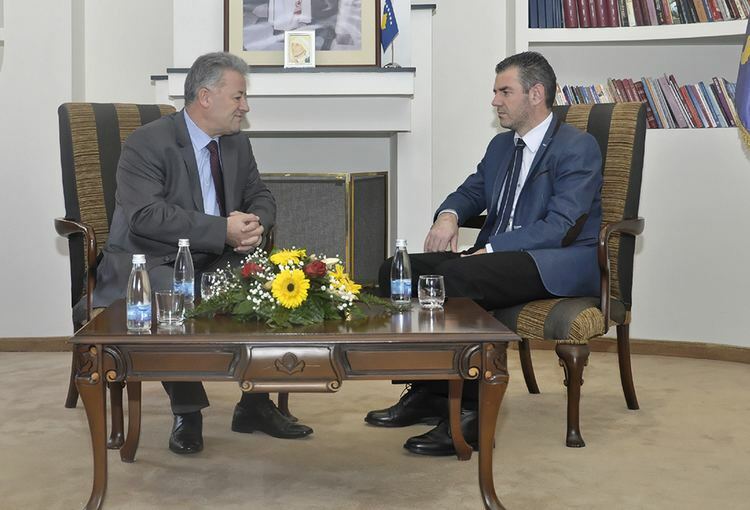 Exporting raw materials especially that of cereals went through Ferizaj and through aligned foreign goods turnover came from Thessaloniki and Skopje. This was the reason that Ferizaj for a period of thirty years become the city with about 400 houses and 200 shops. Most of the population work in trade, crafts and other activities related to trade. During this period, the opening of the colonial shops, craft workshops so accelerated development of the city enough that some passengers of the 20th century describing how the city at that time resembled and at that time the city had more stores than houses. The beginning of the First World War separated between Serbia and Montenegro, and because both where involved directly from the beginning of the War, also Kosovo was covered from the fightings. In October 1915, Bulgaria entered into the war and it had military developments in Ferizaj area that was part of the main artery connecting Kumanovo and Skopje with Kosovo.The city had served as a stopping point for the penetration from the Kaçanik Gorge for the Bulgarians. The Serb resistance ended on November 25 in 1915, when it was conquered by the Bulgarian Army, which was facilitated by Albanians in hopes that the situation will change and the hard situation will be over. 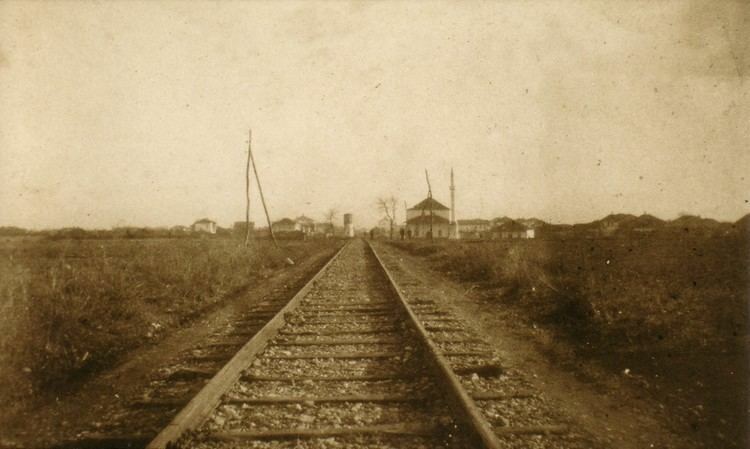 On 1 April 1916 Ferizaj was left Bulgaria as a station key, but the possibility of using the railway was given in use also to the Austro - Hungarian command for the railway line Prizren - Ferizaj - Albania. When the settlement fell to Serbia during the First Balkan War, the local Albanian population offered determined resistance. According to certain reports, fighting lasted for three days. The Serbian commander then ordered the population to go home and to surrender. When the survivors returned, 300–400 men were executed and according to the Catholic Archbishop of Skopje, Lazër Mjeda, only three Muslim Albanians over the age of fifteen were left alive. The destruction of Albanian-populated villages around Ferizovik followed. Before the Treaty of London in 1913 made Ferizovik a part of the Kingdom of Serbia, the name was changed to Uroševac, after Stefan Uroš V of Serbia. The early period of the Second World War, had a positive impact for residents of Ferizaj for not realizing the Convention of 1938, which was signed between Yugoslavia and Turkey for the resettlement of Albanians in Turkey, and that included the massive resettlement of the residents of the District of Nerodime. Under this convention, this migration was to be realized in the period from 1939 until 1944. But the attack led of Italy to Albania that it had not been realized. With the invasion of Albanian lands by Italians and Germans, the Italian troops were deployed in Ferizaj, because it was found an auxiliary army airport of the Kingdom of Serbia, which served for descenting for the Italian military aircraft. In 1941, the Communist Party's leading bodies of Ferizaj were committed that the more residents to join the National Liberation Movement, the end of this year in Ferizaj were already established groups of illegal armed before. With the capitulation of Italy, the country was occupied by Germany, where the behavior of the German occupation was favorable in comparison with the Italians against the Albanian population. Even after the German invasion the National Liberation Movement was strengthened even further to 1943 when the arrest and deportation of all participants began. This movement resulted in the liberation of the country and eventually came to the liberation of the city on December 2, 1944. After the liberation of the city before the National Liberation Movement stood two tasks: release and protect throughout the territory and rebuild the economy of the country. The city suffered some damage during the 1999 Kosovo War, with some of its Albanian-populated neighborhoods being shelled and burned by the Yugoslav Army. Following the war, the city has seen serious inter-communal unrest, which has resulted in almost all of the Serbians, and other non-Albanian inhabitants, either being expelled or fleeing. Camp Bondsteel, the main base of the United States Army detachment to the KFOR peacekeeping force in Kosovo, is located nearby. The camp was established immediately after the war. The camp is quite large: 955 acres or 360,000 square meters. Bondsteel is located on rolling hills and farmland near the city of Ferizaj. The camp was established immediately after the war. Bondsteel is located on rolling hills and farmland near the city of Ferizaj. The US company Brown & Root, involved in building Camp Bondsteel, employs 1,500 people locally. Most of the twenty-two publicly owned enterprises have been privatized. According to Ministry of Trade and Industry statistics, more than 10,500 private small and medium-sized businesses registered in the municipality. As there is no reliable data, it is not known how many individuals are employed in the private sector. According to the last official census done in 2011, the city of Ferizaj has 108,610 inhabitants. There are 38 primary schools in the municipality and 20,492 students. Eight secondary schools include gymnasium and professional schools (technical, medical, music, agricultural and economics) with 6,127 students in total. The school attendance of the Ashkali, Roma and Gorani children is lower than the Kosovo Albanians. There is also one kindergarten with a total of 270 children registered. The Municipal Department of Education and Science has more than 1,680 professional and support staff, including 10 minority communities representatives. Ferizaj has one public library, where students also have internet access. Membership prices are reasonable. The Big Mosque of Mulla Veseli built in 1891, and the St. Uroš Orthodox Cathedral in the centre of Ferizaj are considered symbolic of religious tolerance between Muslim Albanians and Christian Serbs. Because the mosque and the church are next to one another, many people like to take photos of them. The mosque was destroyed during World War II, but then rebuilt. During the Kosovo War in 1999 neither was destroyed, but in March 2004 during unrest in Kosovo, the church was attacked. The development of art and culture in Kosovo is closely related to the cultural and artistic society (CAS). The composer Lorenc Antoni lived in Ferizaj in the early 40s, and the composer Venqenc Gjini from Ferizaj has also made many contributions to culture and is respected countrywide, especially for his creative idioms inspired by the popular fountain. Three football clubs are situated in Ferizaj: KF Ferizaj, KF Vullnetari i UÇK-së and KF Vizioni. Ferizaj is center for sports except for handball; it has one team in the top league – KH Kastrioti. There are three TV stations and four radio stations licensed and operational in Ferizaj. All the local media are privately owned: RTV Tema, TV Liria, RTV Festina, Radio Ferizaj and Radio Furtuna. A church foundation was unearthed in the Nikadin village, believed to date to the 5th or 6th century. There are remains of bricks and tiling from the Roman era and, most notably, a sarcophagus which was located below the floor. A neolithic site is located 2 km from Ferizaj, in the Varosh village. It includes ceramic fragments, the majority of which are of the Starčevo culture and Vinča culture. It is believed that the site was a settlement in the Roman era. In 2008, a Neolithic site was discovered in the Zllatar village. There are indications it was used in the Mesolithic age, as well as more recent periods. It includes flint, stone tools, and ceramics. Ruins of a Roman-era church were discovered at Komogllava. It is believed to have been built in the 1st century BC, then rebuilt in the Byzantine era. The locality includes remnants of ancient urbanized streets, sewage, and other infrastructure. Vases, ceramic pots, coins, jewellery, items of iron and other carbonaceous substances, but also characteristic stone, believed to have been moved from coastal areas to build the sarcophagus and other items. The exact figure for the municipality's population can only be estimated, as the most recent census took place in 1991. However, in 2015 municipal authorities estimated the population at 108,610. The majority, roughly 100,000, are Kosovo Albanians. The others were: Ashkali (3,500), Roma (200), Gorani (150), Bosniak (60), and other communities (40), including Turks. The city had a population of about 70,000 people in the 1990s but it has grown substantially because of Albanian migration from the countryside and from parts of southern Serbia. In 1998, before the Kosovo War in 1999, the population was recorded as 57,421, of whom 82.1% were Albanian, 9.4% Serb, and the remainder from various other national communities. In 2003 the town had a total population of 139,800.